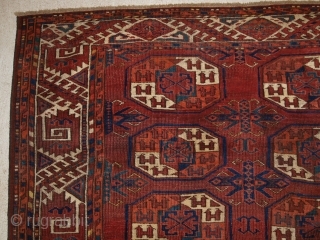 Antique Kizyl Ayak Ersari Turkmen main carpet with the ‘tauk nuska’ ’ gul design; each segment of the gul contains two double headed birds. www.knightsantiques.co.uk Size: 9ft 5in x 6ft 8in (286 x 204cm). Circa 1870. 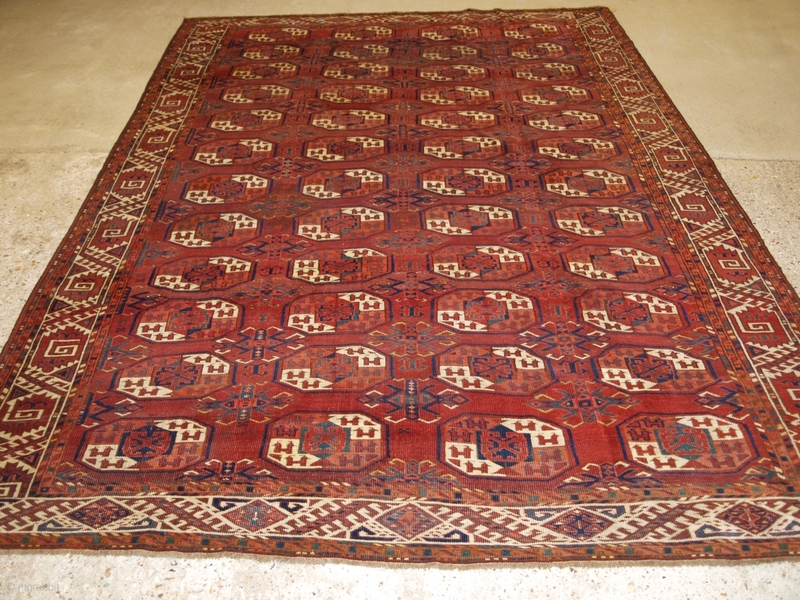 The carpet has a rich red ground colour with some very nice blues and yellows. The boarder is a very well drawn example of the curled leaf design. 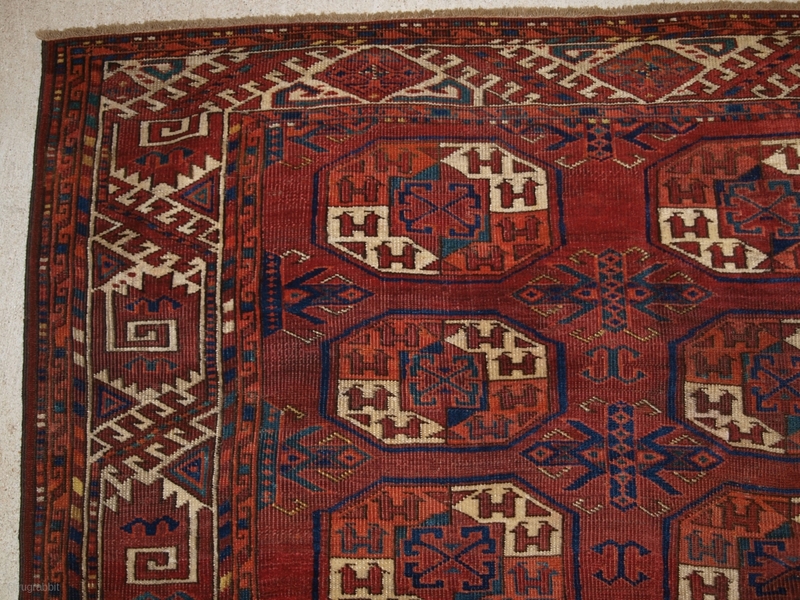 The carpet is in excellent condition with slight even wear with good pile. The carpet is suitable for normal domestic use. The carpet has been hand washed and is ready for use. Stock Number: r-1282.